Totally love this trailer. Doesn't show much and gets you ready for EndGame. I'm excited what the Russo Bros will do with Captain Marvel...I think they'll fit her in as part of the team and do it well. Im sure this won't stop people from bitching though. I think Captain America is the one who dies. And I think we saw a snippet of that scene in this trailer. Tony lives on, and retires w/ Pepper. I think the last scene will be Captain America's funeral. Wouldn't put too much into that scene where they're all walking together in the Quantum suits...Tony will make it back to Earth..heard this theory online but it makes sense. He'll use parts of Nebula to fix the Guardians ship to make it back to Earth, much like he MacGyver'd his way out of that cave w/ the very first IM suit when he was almost about to die. MCU sometimes puts those scenes in just for the trailer only, although we may not see that actual footage in the movie. They will use those suits and travel through the QR, but if you remember Infinity War trailer at the end where they're all running towards battle together in Wakanda in slowmo (even w/ Hulk), we never actually saw that in the movie. My guess is that this is the same thing. Something BIG is going to happen w/ Hulk and Thanos...perhaps (Professor)Hulk wields the gauntlet and has a final showdown w/ Thanos since he's the only one thats big/strong enough to do it. That and he's hardly shown in any of the trailers up to this point and MCU has made it a point to fully complete his story arc of personality feuds between him and Banner. This is my thought as well. Still no sign of Prof. Hulk in the trailer, hope we get him in this film. I hope she's eased in...because if she comes in full bore and kills off Thanos like it's no big deal, much like the way she defeated villains in her own movie just recently, I have a feeling it's going to piss off a lot of people. It'd be nice if they show her going toe to toe w/ Thanos in the beginning, like on Titan2 on his farm, Thanos w/ the gauntlet extracts her power and defeats her, then maybe Avengers asst her in getting her powers back towards the end. 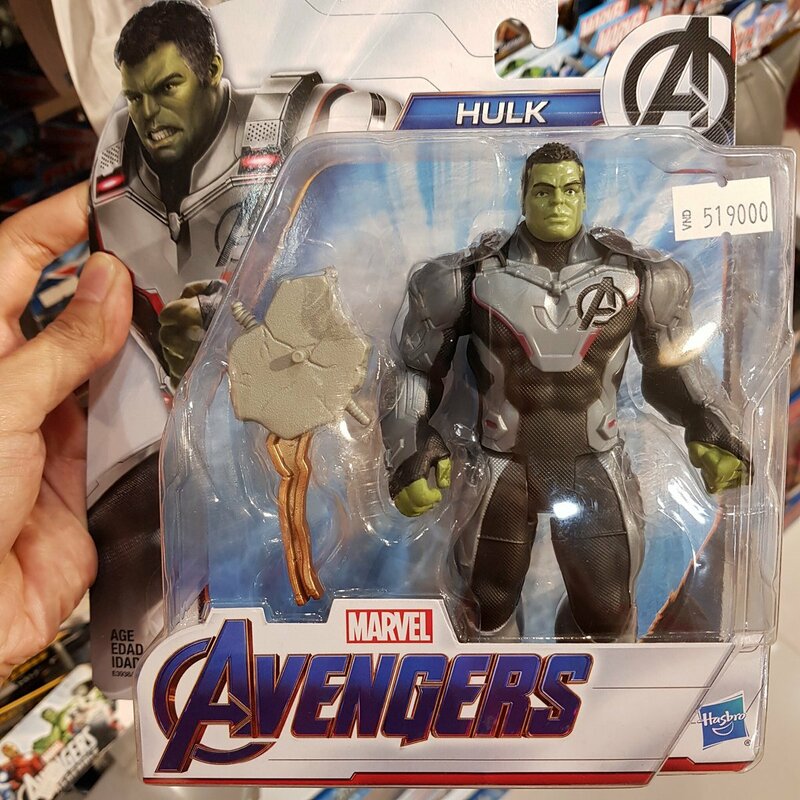 I dont like how this "meger" of Banner/Hulk, makes a smaller, less muscular Hulk. Seems less intimidating. Maybe it won't be like that in the movie. I just hope they make up for it in this film because it'll be their last chance to do it and right some wrongs w/ his character (IMO). Hopefully he wields a gauntlet and just destroys everyone/everything in his path. I miss seeing that. Not a fan of this "childish baby" story arc of him and Banner w/ their personalities clashing. Was really disappointed in the IW movie that he didn't come out, I thought maybe he'd bust out of the Hulkbuster suit when SHTF on Banner and he finally had enough. I'd be cool with that..also want more hulk. I can't wait for this movie. I just hope they make up for it in this film because it'll be their last chance to do it and right some wrongs w/ his character (IMO). Hopefully he wields a gauntlet and just destroys everyone/everything in his path. I miss seeing that. Not a fan of this "childish baby" story arc of him and Banner w/ their conflicting their personalities. Technically that's how it was in the comics. When he became Professor Hulk, he lost a bit of that power and rage simply because he was less feral and more mentally in control. I know...I just wish MCU didn't go that route. Wouldn’t be surprised if Strange manages to reset the entire universe. That would allow for every character to be rebooted.